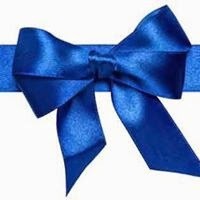 "On Saturday, December 20th [through December 31st], we are asking everyone that is a member of the force, a family member of the force, is the friend of a police officer, or has simply been helped at one time or another by a police officer to display a blue ribbon. Put it on your mailbox, deck rail, tree, etc. Many will be working on Christmas eve and Christmas Day, missing special moments with their children. They will be there for you when call. Please show our officers in blue how much we RESPECT and APPRECIATE their service and sacrifice."